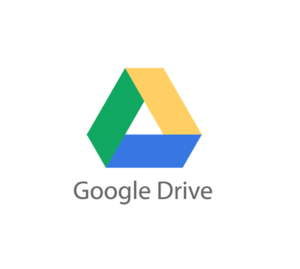 For the few folks out there that may be unaware or not use Google Drive – this is a software based virtual “drive” associated with your Google / Gmail account (similar to Microsoft’s Onedrive) You can place any type of file in your Google Drive folder on your computer, and it automatically synchronizes to your online Google Drive account. There are several reasons why would you want to do this. First off, redundancy. If your computer hard drive dies, you lose all the saved files on it. However if you have placed files in your Google Drive folder, there is a copy online that can be accessed and downloaded again on a new hard drive. Another reason is for sharing / collaboration of files. You can go to your virtual drive and share a file with a coworker or friend, and both of you can work on the same file – online at the same time. No more emailing a document back and forth between 4 different people trying to straighten out a rough draft. And of someone gets carried away with the editing, you can always roll it back to the previous version. Yet another reason that isn’t applicable to all but very useful to those that need it is having the same files on multiple computers. If you need to access the same files that are on your desktop and laptop, you can have the same Google Drive account setup to both, with a mirror copy of all files on each. Update one file, the changes are immediately sent to the other computers that have Google Drive installed. Of course there is also Google Drive for tablets and smartphones. You can access all of your Google Drive files from there as well. Coming next week on June 28th Google Drive will be rolling out some new features. Instead of just synchronizing files you have placed in your Google Drive folder, you will now be able to choose other folders to synchronize as well, like your Documents, Music, or Pictures folder. These new features will be in the form of a new app named Backup & Sync, and will combine features from both Google Drive and Google Photos backup applications. Remember that all Google accounts have a storage capacity of 15GB. If you do need more space, you can purchase additional here https://www.google.com/drive/pricing/ Currently pricing is set at $1.99 per month for 100GB and $9.99 for 1TB. That’s comparable to Apple’s iCloud at $0.99 for 50GB per month, and less than Microsoft’s Onedrive at $1.99 for 50GB per month. Despite the large amount of data Google’s new Backup & Sync app has the potential to hold and handle, Google has recommended that business users stick with the original Google Drive application for now. In other words, while the consumers work out the bugs. This entry was posted in Education, Software and tagged Backup & Sync, Google Drive. Bookmark the permalink.